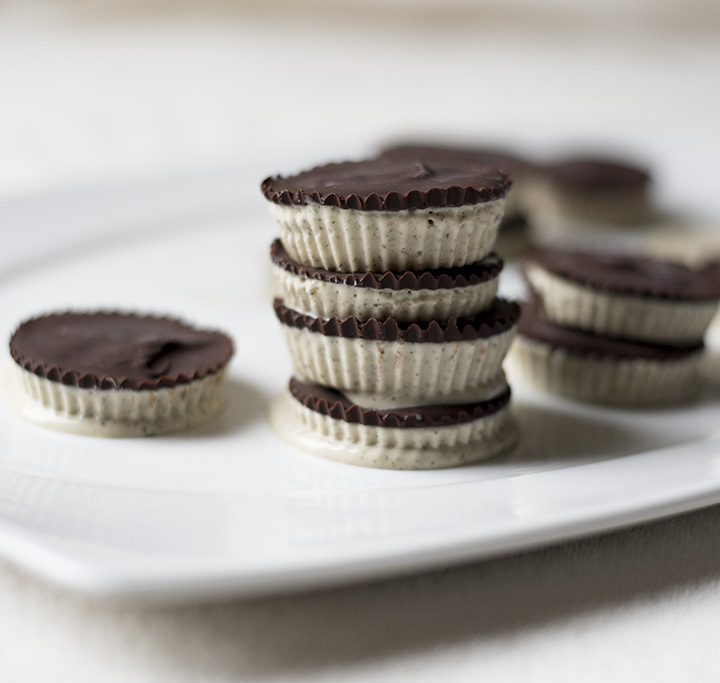 Why go out and buy the corn syrup filled original peppermint patties that have 26g of sugar, 32g of carbs, and only 1g of protein?! 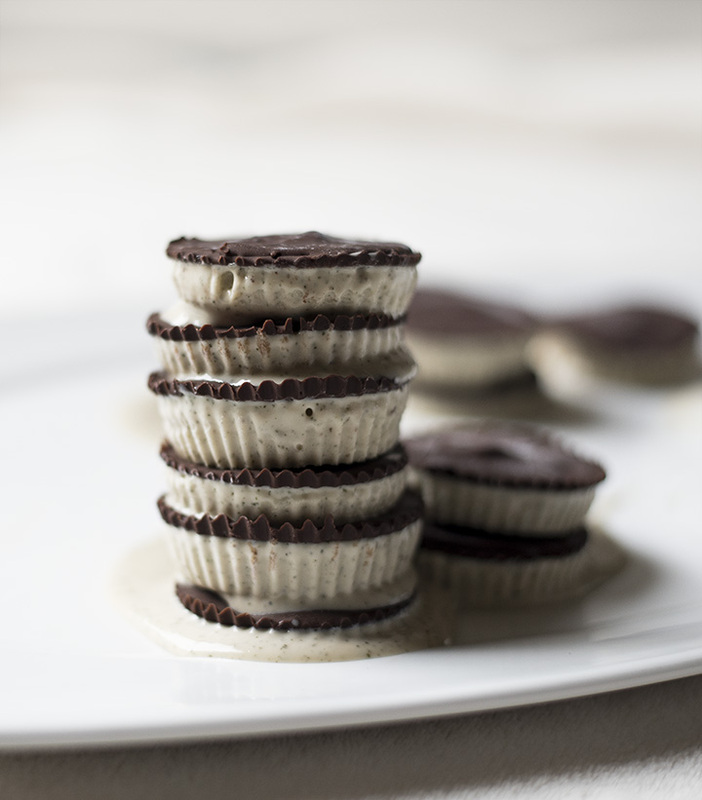 Instead, make these creamy, mint flavor filled cups that contain no artificial ingredients or corn syrup. 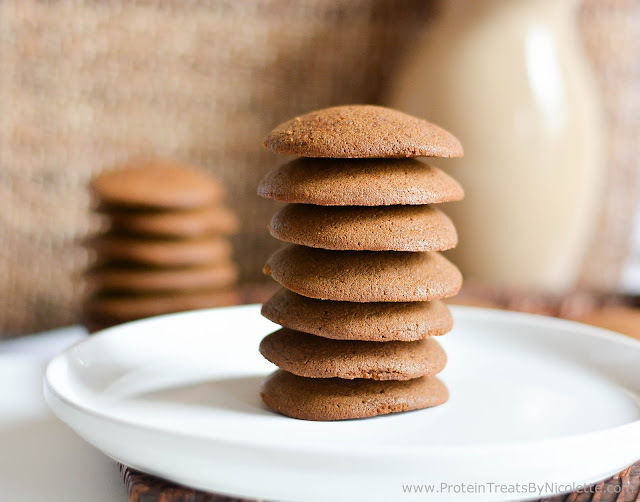 This healthier version has only 10.2g of sugar and 13.6g of carbs but packed with 5g of protein! 1. Combine coconut butter, coconut oil, milk, honey and mint leaves in a food processor. 2. Blend mixture until completely smooth and mint leaves are blended well. 3. Add in protein powder and blend again until well combined. 4. Evenly spoon mint mixture into 12 silicone cupcake liners. 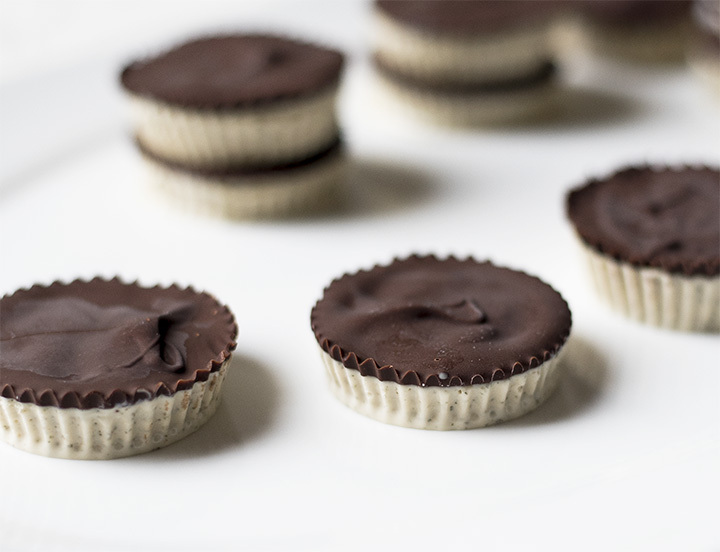 Place these in the freezer for at least 1 hour. 5. 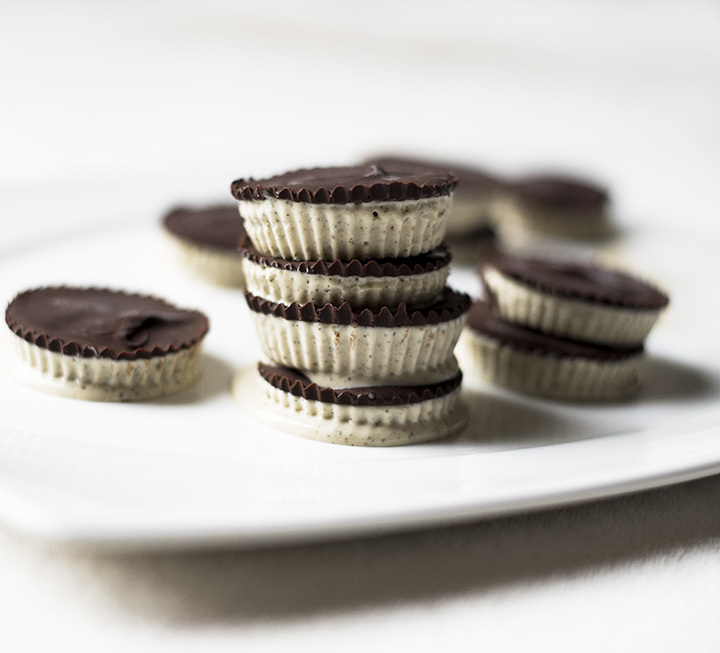 Melt peppermint chocolate bar with ¼ teaspoon coconut oil in the microwave in 20-second increments, stirring, until melted and smooth. 6. Remove patties from the freezer. Spoon about 1 tablespoon of melted chocolate on top of each patty. 7. 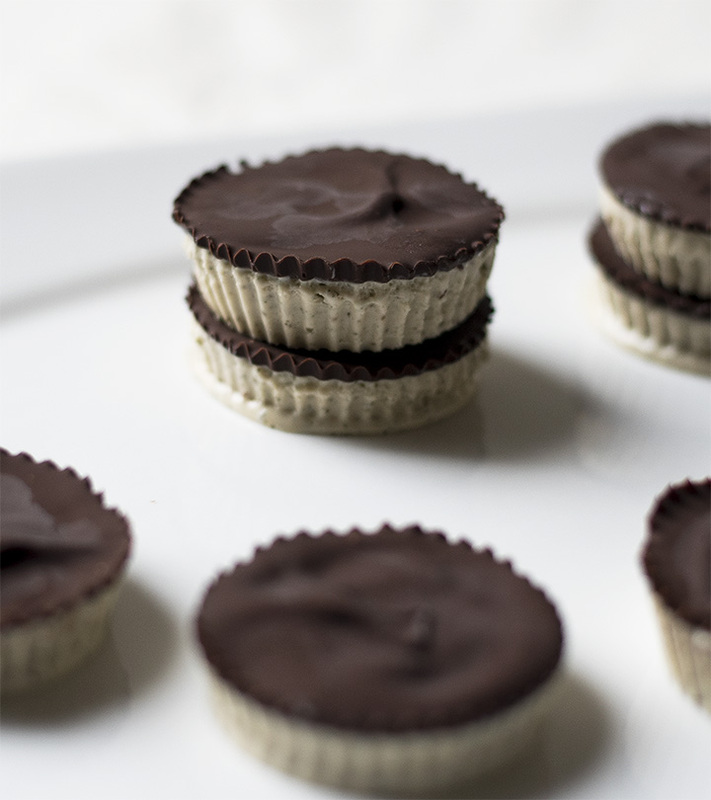 Place patties back in the freezer for an additional 30 minutes, or until chocolate hardens. 8. Remove from freezer and enjoy! *Store treats in the freezer for up to 3 weeks.